Have you developed your content marketing strategy for 2018? As a dental practice, to remain relative and appeal to your patients, it's vital to consider the most up-to-date content marketing tactics that are creating results today. You see, in an ever-evolving digital era, what works today in content marketing may or may not work tomorrow. Staying abreast ensures you're implementing the best digital strategies for attracting followers to your content and new patients to your practice. A whopping 85% of the U.S. internet users watch videos online. Video continues to be a top tool for companies to engage their audience, grow brand awareness, and build trust with new prospects. In fact, many customers prefer video content over text and other forms of content simply because it's easier to consume. 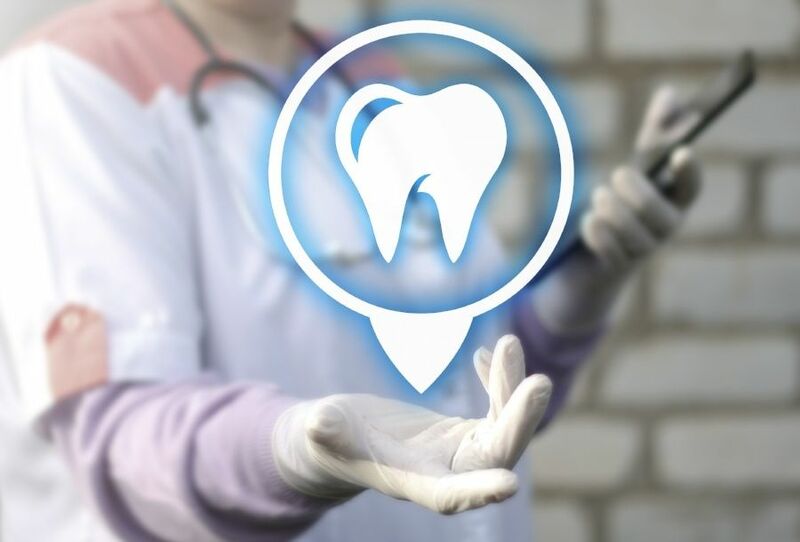 Using video for storytelling, to promote your services, and offer useful information regarding dental health and hygiene will play a huge role in your digital marketing success. Videos move viewers to action. They also allow people to genuinely know and trust your brand. Adding video is no longer an option. By 2021, video will account for the majority of internet traffic (Source: Business Insider). Position your practice now by increasing your video marketing efforts in 2018. You'll be giving your audience more of what they want, and in turn, amplify your own marketing results. It's important to note that consumers are interacting differently with content than they did 5 or 10 years prior. They're seeking more engaging, personalized experiences that offer unique ways of understanding and consuming content. 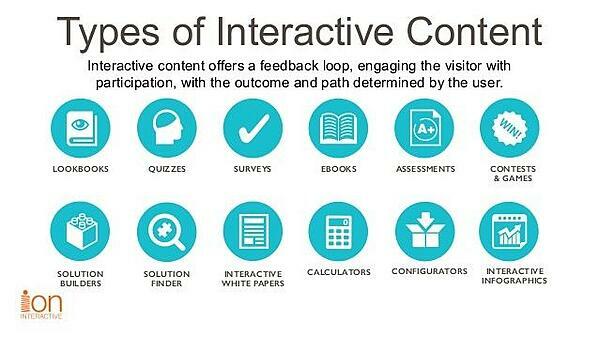 This is where interactive content comes in. Formats such as quizzes, assessments, infographics, surveys, and polls allow you to be ultra-creative with your message while entertaining and educating your market. These content pieces bolster the user-experience, making visitors much likely to stick around and engage. What's super cool about these interactive pieces is that it can be tailored to your user's unique problems. You're able to deliver customized results (from their involvement) that your existing and potential patients can use to better their dental health. Content fuels the buyer's journey. 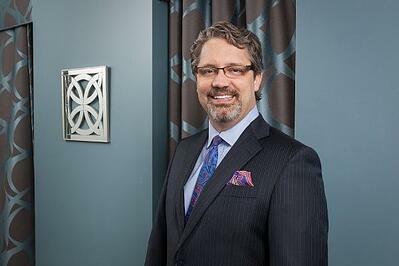 It's what moves your prospect through your funnel from becoming someone who is simply thinking about visiting your office into someone who is a loyal, raving fan of your dental brand. From your social media content, blog posts, landing pages, to your email content, online reviews and visuals, content is what catches the attention of your audience and builds trust. In fact, according to Hubspot, 47% of buyers viewed 3-5 pieces of content prior to engaging with a sales rep from that company. In other words, patients are looking for online content before making an in-person or over the phone contact. It's this content experience that pulls a follower closer to doing business with you. As shared in Business2Community, rather than focusing too heavily on top-of-the-funnel content to fuel your customer acquisition, your content must work at every stage of the buyer's journey in order to be successful. Your content will need to be purposeful, nurturing, and interconnected so it propels your potential patient forward. Finally, it mustn't stop once a lead becomes a patient. A working inbound strategy aims to convert them into brand advocates where they're promoting your practice to their networks (family, friends, and on social). Having content that continues to nurtures will give you the slight edge over competitors and encourage patients to keep booking with you. Simply creating content, publishing it, then sharing it once is not a strategic promotional or distribution strategy. Brandwatch reports that over 91 million blog posts being published monthly on WordPress alone and 3.2 billion images being shared daily. As you can imagine, your followers are inundated with content! 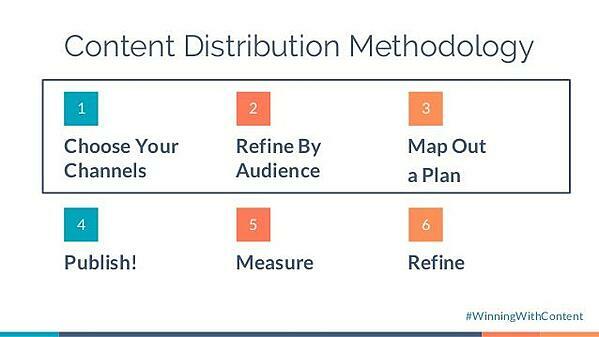 Yet, content distribution will be an effective way to increase your reach and visibility in a crowded digital space. You spent a lot of time creating your content, now it's important that it works for you and reaches its intended target. As mentioned, it's also critical that you offer multiple content types to appeal to different learning styles and preferences. Some would rather read a blog post, others perhaps an infographic, and most, a video. Repurposing the same content into different formats provides endless opportunities to capture more of your audience and boost engagement. Therefore, create a plan in your dental marketing of how you will distribute your content in 2018. Know that it's okay to promote your blog content, for example, several times over a period of time on social media to improve organic reach. Also, using content platforms like Medium that boasts 60 million monthly readers is perfect for sharing your content in front of new people while bolstering SEO ranking. In a digital era where every small business up to large corporations is using content to gain the attention of their audience, simply publishing content isn't enough to create the needed traction. Live video is taking over. In fact, live video is more appealing to brand audiences, with 80% opting to watch live video from a brand than read a blog, and 82% preferring live video to social posts (Source: Livestream). Therefore, apps like Facebook Live and Instagram Stories are becoming top to tools for businesses to intimately engage with their audience and foster relationships. Small businesses can accelerate their brand quickly by sharing live content on social media. Yet, only about 14% are invested in live video. 2018 is your time to gain the competitive edge by leveraging live video in your content marketing strategy. By hosting live Q&A sessions, taking your followers behind-the-scenes to see a typical day in the office, or reporting trending news pertaining to dental health, live video can be the one tactic that can catapult your visibility significantly. Tony at RiseFuel helped me drastically increase our web traffic in just a few months. For the first time we have integrated our content for web design, SEO, Search Engine Ads, Social Media and email. Their approached generates and track leads and makes adjustments easily. The best part is they do it all for us! Content Marketing Institute shares that consistent, original, and addictive content is all the rave. Big brands like Amazon, Facebook, Apple, and Google plan to invest big in original content…and it's important to take notice. Additionally, brands are expecting to bring better content to their audience's eyes and ears, opposed to just producing more content. More effort will be placed into creating content that stands out, is distinct and focuses on creating value for the reader. Although these ingredients have always been vital to sharing remarkable content, it's especially important as more brands hone in on content marketing to build trusted and loyal audiences. 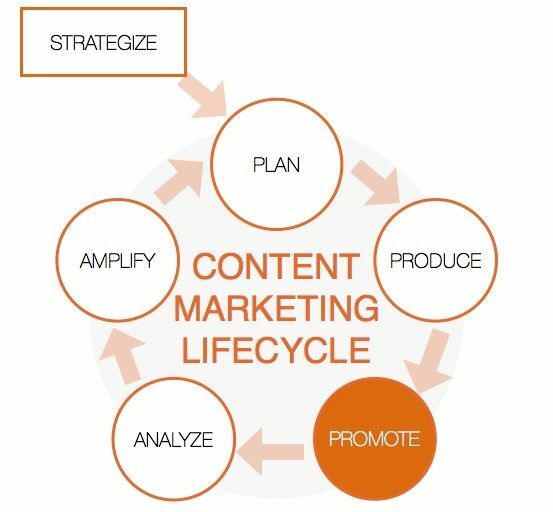 Therefore, maintaining a consistent content marketing strategy is key to growing awareness, your following, and revenue. Being effective in your dental content marketing strategy this year includes tailoring your content to your ideal patient. As stated, internet users are overwhelmed with content today more than ever. So, not only does your message need to be valuable, it must uniquely speak to the audience you wish to engage. This means having a clear understanding of your target market and the pains, problems, and challenges they experience. 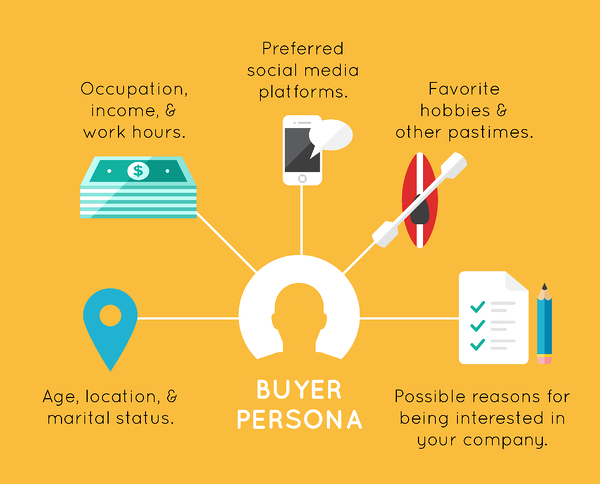 The best way to gaining clarity of your audience is by developing personas. Now, creating your personas extends beyond the traditional demographics of knowing your patient's geographic location, etc. This process goes more in-depth by understanding their challenges, goals, and how their typical day may be. You're focusing more on the person opposed to simply grouping your market based on what they have in common. Armed with this information, you're better able to customize your ads campaigns, social media and blog posts to target your customer. Personalization is also a key factor in your email marketing campaigns. In 2018, segmenting and tagging your subscribers is crucial towards improving open and click-through rates. People want content that is specific to their needs and desires. So by creating deeper lists, you can truly hone your message to that recipient's situation, making your email marketing incredibly effective. Keep in mind these trends as you map out your 2018 dental content marketing strategy and goals. Be sure to test your efforts to discover what's working with your audience…and what isn't. With consistency, not only will you remain competitive and stay ahead of the curve, you'll produce greater results that increases your followers, drives traffic to your website, and boosts your leads and bottom line. Are you ready to progress your digital marketing in 2018? Reach out to us here and let's chat! We're equipped to help get your dental practice in front of your ideal customer, offer you the latest in digital and SEO marketing, and get you real results to grow your brand. Let's talk!